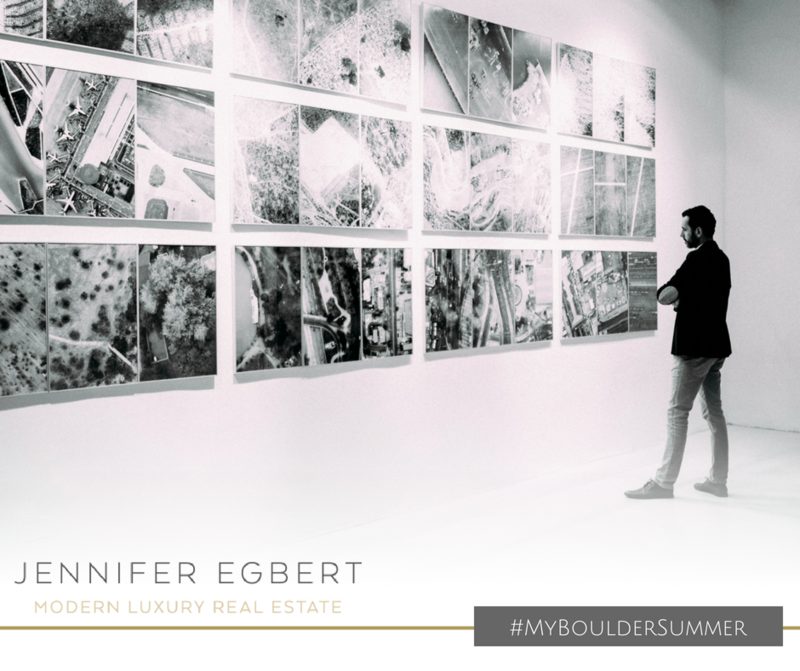 As part of our #MyBoulderSummer series, we’re highlighting the best and brightest in the various industries of Boulder, Colorado. This week, that means putting a spotlight on the women and men who are changing the way we think about art and music in our community. For over forty years, these women have been deeply involved in Boulder’s art scene. Their aim has always been to support local artists and ensure that art can provide a liveable income. Following the market crash in 2009, Trudi and Susan realized they had to do more. They founded Art Movement Colorado, a virtual gallery that showcases local artists’ work all over the Boulder area. Through partnerships they’ve made over the years, Trudi and Susan have found dedicated gallery spaces at The Commons while continuing to branch out with businesses across the city. Their ultimate goal is to create a robust nonprofit dedicated to furthering the development and careers of local artists. Jerry Wingren embodies the worldliness that makes Boulder such an incredible place to live. His sculptures are homages to the cultures he’s immersed himself in. From childhood in Alaska spent with Norwegian immigrants and Tlingit natives to studies in Germany and a sabbatical in Japan, Jerry has dedicated himself to learning from local cultures and using that knowledge in his sculptures. His artwork often examines the relationship between nature and man, and he uses both natural and fabricated materials to explore this dichotomy. Jerry is a quintessential Boulderite in that he honors nature and other cultures while continuing his education as a citizen of the world. Otis Taylor is an unapologetic storyteller with a penchant for a rawer honesty. His Blues albums tackle issues from murder to homelessness, from racial injustices to tyranny, all the while entrancing audiences with his musicianship. As an artist, he is unafraid of shining a light on humanity’s darker side, making him an important part of the discourse of today. Not only does he have over seven highly-regarded albums to his name, but he and his wife have started a program to bring Blues into schools nationwide with “Writing The Blues,” as well. This program reaches elementary through university students, and asks them to share one sentence of a truth–something that they’re afraid of, sad about, or disappointed with. These powerful sentences give him the opportunity to connect to students and have students connect with each other. To Otis, that is the most important part of singing the Blues. Gregory Alan Isakov, a native of Johannesburg, South Africa, has fully embraced the Boulder lifestyle. Gregory is a graduate of horticulture from Boulder’s Naropa University, and this love of nature is translated into his music, as well as his homestead. His work is acoustic storytelling at its finest: his songs are evocative and illustrative of an old soul. When he’s not playing at Red Rocks or recording with the Colorado Symphony Orchestra, Gregory lives on Sterling Farm, four acres of artistic paradise. The property features houses, vintage trailers, a converted bus, remodeled barns, and the home of his independent record label, Suitcase Town Music. The sprawling campus is home to artists, musicians, farmers, children, sheep, and chickens. Nick and Helen Forster founded this non-profit, nationally-syndicated broadcast/podcast and multimedia and events production company in 1991. The organization has been uplifting communities around the world through its musical, social, and environmental programming and its dedicated staff. Nick and Helen co-host the broadcast and play along with their musical guests with the aid of the in-house band, the eTones. Their goal is to inspire, educate, and delight listeners in order to develop a more socially and environmentally conscious world. The facility Nick and Helen opened, eTown Hall, is in a renovated church in Boulder and acts as an office, music venue, recording studio, and, perhaps most importantly, a community center. Nick and Helen’s mission to engage with world-class musicians and discuss pressing challenges makes them quintessential Boulderites. These men and women exemplify the best of what Boulder has to offer: an honest and open community, a dedication to nature, and talented storytelling. 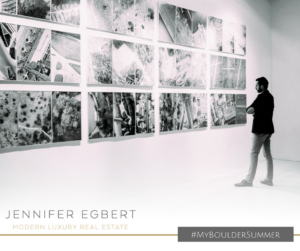 They are key influencers in Boulder’s art and music scene, making them an integral part of our #MyBoulderSummer series. As the summer continues, look for more posts featuring innovators in Boulder’s industries, and don’t forget to post photos to Facebook, Instagram, and Twitter with the tag #MyBoulderSummer! Each post acts as an entry in our free giveaways all summer long!